So... 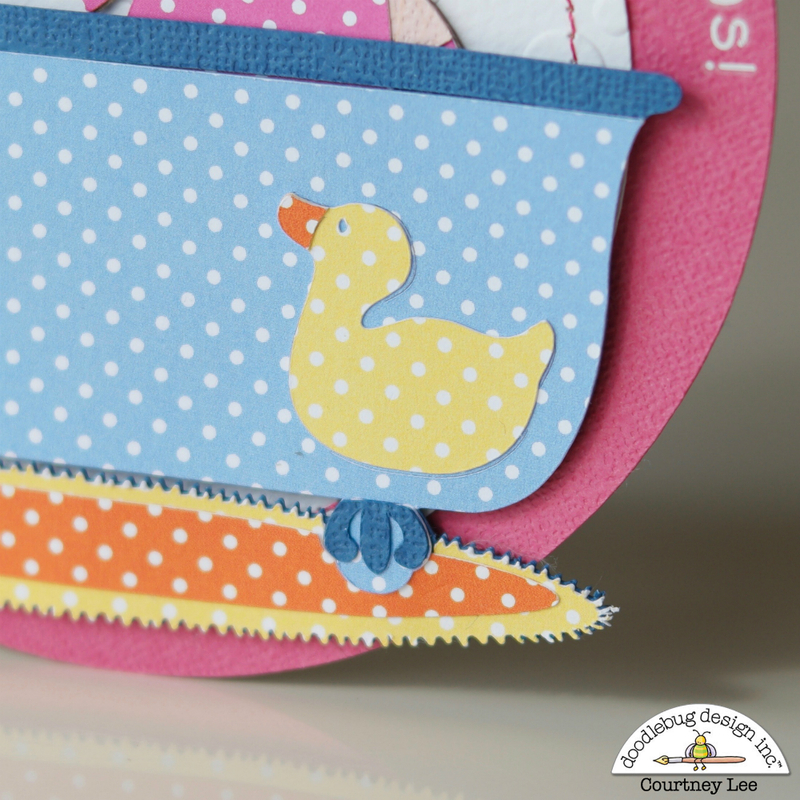 I am a rub-on newbee but I love doodlebug's rub ons! They made it so super fun for me to make this card and to create any phrase I wanted to! I started at the end and worked my way backwards. I embellished with these super sweet glitter sprinkles! Aren't they cute bubbles!?! They are actually part of the winter collection named "Polar Pals". I thought their sparkly nature made them perfect bubbles! Check out that adorable duck!!! Polka-dot galore! 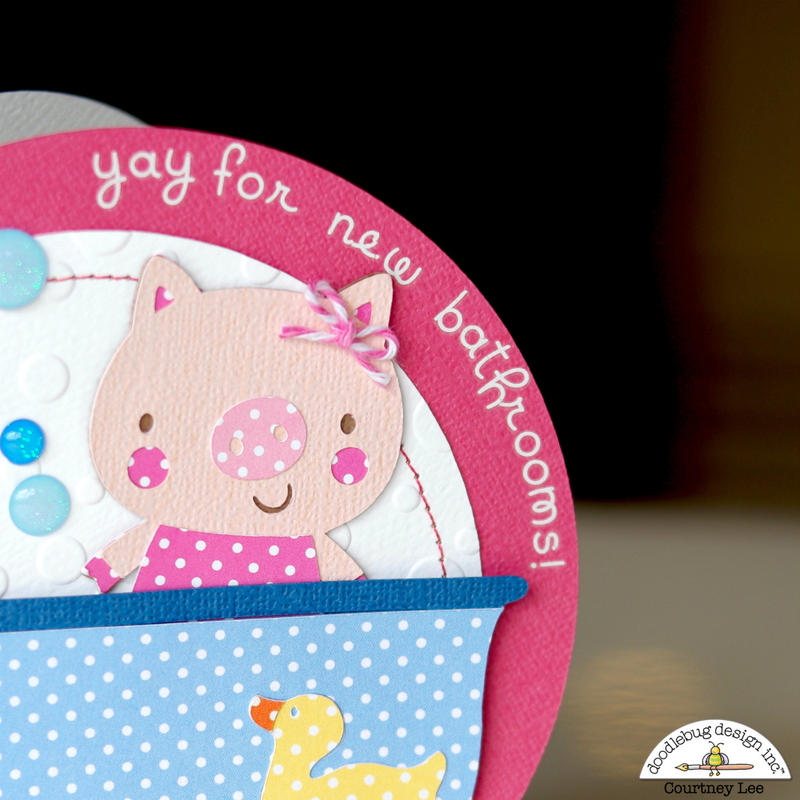 Your card is darling! I'm sure it will put a huge smile on your best friend's face! So cute and sweet! Love the rub-ons...I would've never guest that you're a newbie. 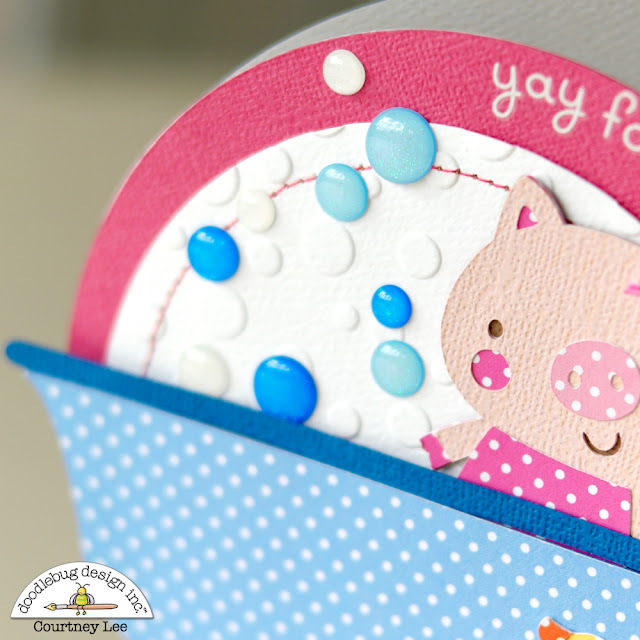 I just love this little card... so darn cute!